Buick Terraza kit allows you to quickly and easily repair your shift cable by replacing the bushing. The patent pending coupling and custom molded replacement bushing ensure a quality repair with ease. A professional can perform this repair in under 10 minutes, average time for a non-professional is less than 25 minutes. This bushing is made from a material that was designed to outlast the factory bushing and includes everything needed to install. 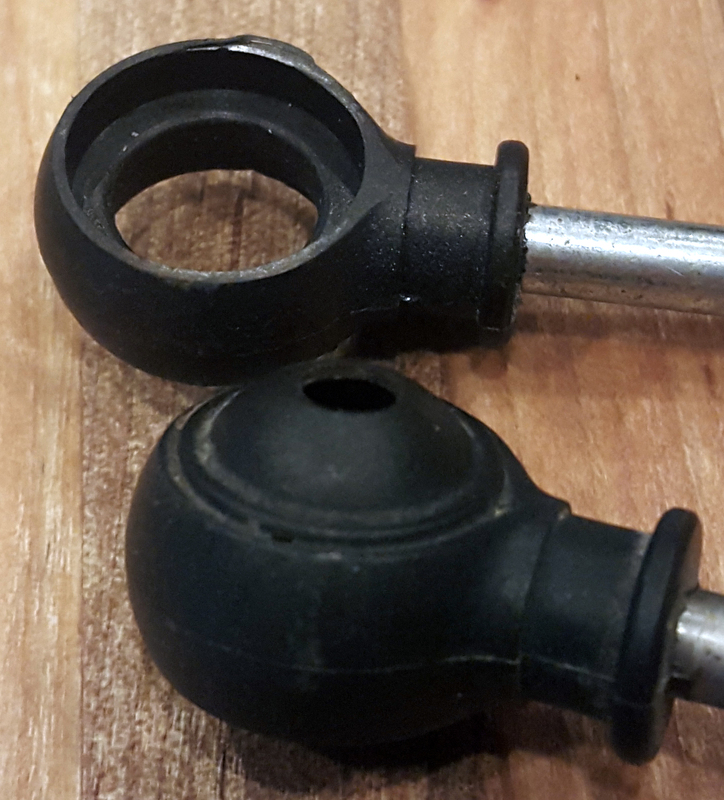 Order Online at www.BushingFix.com This shift lever bushing repair kit allows you to fix your Buick Terraza shifter lever by replacing the bushing very easily. It takes about 5 minutes and comes with a warranty, it's made from better material than the factory bushing so it'll last longer. No drilling required. Check out our website to order and for additional written instructions. The easiest way to fix or repair your Buick Terraza shift lever! Kit includes replacement bushing. Ordered the part on a Friday, it arrived on the following Monday. Saved me several hundred bucks having a pro do it with easy to follow instructions. Bushing popped right in and now my van shifts like a dream. Easy to install and the shipping was fast too. Put us back on the road without the high cost and wait for a shop. Watched movie and followed their directions. took less than twenty minutes. Part was just as advertised. The product was exactly what we needed and the fast service was great!!! Woke up the other morning and proceeded to put van (buick terraza) in gear and it was like something was loose. After researching and asking questions to a mechanic friend I learned that the shift cable was the culprit. Caleb the dealership and to my amazement and surprise they had the cable for purchase...it was $75. Ok..no problem right? Wrong! I was told that I would not be able to install myself and that if they were to repair it the cost would be $400!! Well the way my bank account is set up it goes to other bills and $400 was nowhere to be found. So I prayed and asked God for some guidance. And so I found a video on YouTube about how to replace the bushing in a vehicle similar to the make and model of mine. Long story short, I ordered the bushing, and had the van ready in less than 15 minutes. It would have taken 10 but I dropped a screw and it took me 5 minutes to find. So far so good. Just what I needed! When my wife frantically called me at work and told me that her gear shifter "Just went straight down when I tried to go in reverse", I went on the net and watched a YouTube video on how to fix it. The video was promoting the Bushingfix.com product and it looked easy enough to me to fix so I ordered one. It arrived a few days later and 15 minutes after opening the package, my wife's van was back in action! Couldn't have been easier! Sacared me it went together so easily and quickly. Open hood, twist 4 screws (2-stainless clamps and 2-bracket screws) , Pull the cable where you can clean out broken parts, fit tool over cable end, put in bushing, put installer pin in hole of tool, squeeze edges of tool together till bushing face flush, remove both parts of tool, snap onto transmission shift linkage pin, fasten brace back, put air tube back with clamps, go back inside van, work the shift handle a couple of times to see that it stays on, close hood, sit back and think of the new tools you Can buy with the money saved! Part should be cheaper gets the job done less than the price of the cable alone.